After several months of work, the Joint Budget Committee (JBC) is ready to present its budget to the Legislature. As one of six members on the JBC, I wanted to take this opportunity to preview the budget process and highlight some the figures that help shape the upcoming 2016-2017 budget bill. 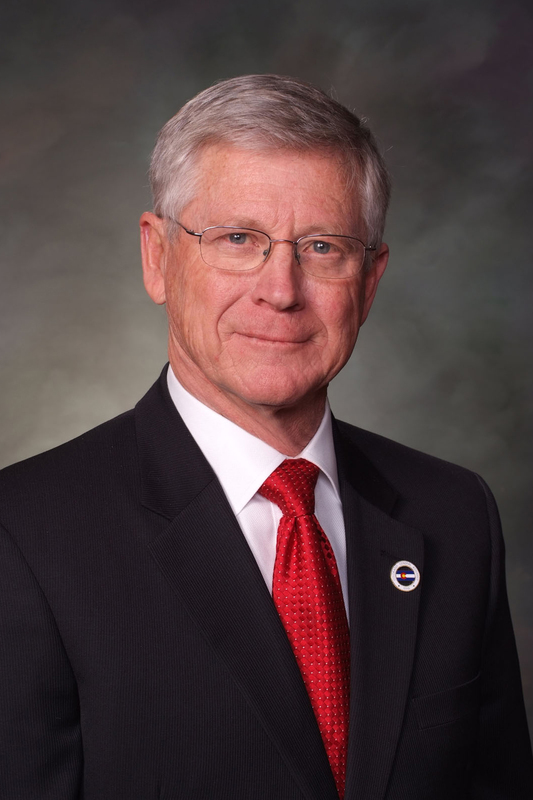 Colorado's fiscal year starts on July 1st and ends on June 30th. Each year, the JBC begins the budget process in early November, meeting with each Colorado department to assess their budgetary needs for the upcoming year. Quarterly, (March, June, September and December) economists in the governor's office and the legislature release a state revenue forecast, which helps guide the JBC on how much revenue is available and what economic conditions should be considered for the state budget. Following the March forecast, the JBC balances the upcoming budget to the anticipated revenue amount and presents the bill, known as the Long Bill, to the legislature for consideration. Once the final bill is passed by both the House and Senate, the governor signs the bill into law. We have introduced the 2016-2017 budget bill in the House, and I look forward to working with my Republican colleagues to ensure this budget reflects Colorado's top priorities. Below are some notable figures in the current 2016-2017 budget. The total state budget is $27.1 billion, which is $477.1 million more or a 1.8 percent increase from FY 2015-16. General Fund revenue (the product of sales and income tax) is $9.99 billion, which is $503 million more or a 5.3 percent increase from FY 2015-16. Colorado spends $5.4 billion on K-12 education, and fortunately no cuts are expected to be made to K-12 or higher education in the upcoming budget. Colorado has 1,385,891 Medicaid recipients, requiring more than $9 billion, or roughly 33 percent of our total state budget. More than 25 percent of our state population is currently enrolled in Medicaid. Total recreational and medical marijuana tax revenue is projected to be $131 million in fiscal year 2015-2016. Thank you for taking the time to read our newsletter. If you have thoughts about the budget, JBC, or other legislative issues, please contact me. You can keep up with all of our caucus updates by following us on Twitter and Instagram, liking us on Facebook or visiting www.coloradohousegop.com. 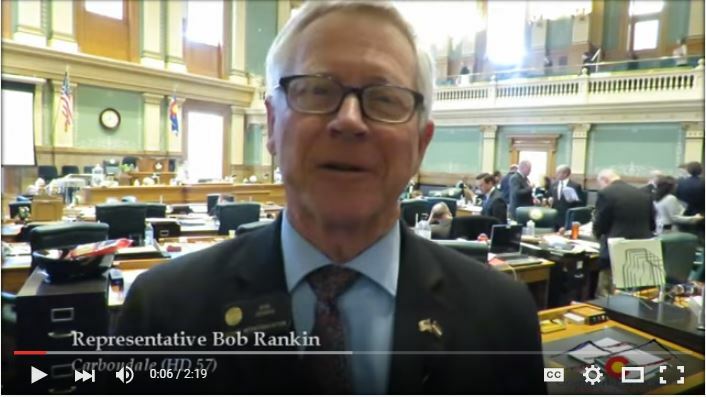 Representative Bob Rankin (R-Carbondale) talks about the budget process and his role on the Joint Budget Committee. The Gov signed the bill to assure continued Victim Impact Panels for DUI offenders. Thank you MADD, Senators Johnston & Cooke and Rep. Pabon. Patch work oil and gas regulations will not work. It will make Co an unfriendly place for O&G to do business. Capitol closed on Wednesday due to blizzard conditions. We, however, were already at work by 7:30am. The Joint Budget Committee met all day. By Thursday the balanced budget was on the way to the print shop. Monday it will be introduced in the House then on to the Senate. 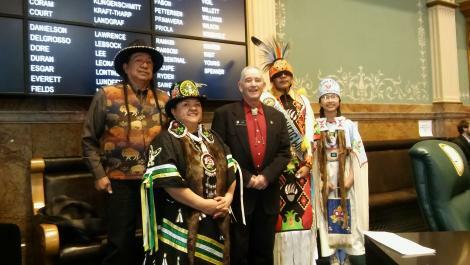 Representative J. Paul Brown (R-Ignacio) welcomed members of the Mountain Ute Indian Tribe to the House Floor in recognition of "Ute Day" in Colorado. Representative Dan Thurlow (R-Grand Junction) shakes hands with the Colorado Mesa University robot during Aerospace Day at the State Capitol. Elizabeth and Michale, Representative Lois Landgraf's (R-Colorado Springs) grandchildren, pose with Speaker Hullinghorst after leading the Pledge of Allegiance on the House floor.